1. Automatically rolls: Rolls up or down with the window glass automatically. 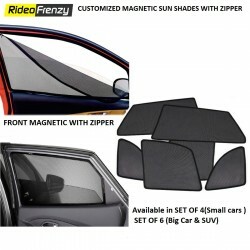 The sunshade hook is attached to the window glasses, then the sunshade fabric rolls up when then the glass is up and the fabric will roll into the aluminum tube automatically when the glass is down . 3. Sunshine Protecting: Polyester imported from USA can effectively filter the Ultraviolet rays and restrict the sunshine accessing, this can save the air-conditioner energy about 60% and also prolong the life of the interiors. 4. 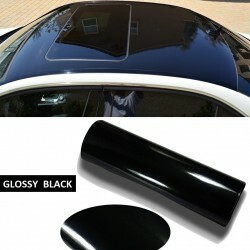 Fire-resistant: Polyester can resist the fire burning and keep the car life safe. 5. Quality and making process ensurance: Skilled workers, advanced area machines and details attentions makes quality prefect. 6. Installation: Very easy to install and uninstall without changes to any facilities in the car. 7. Easy clearing : Quite easy to clean the sunshade because its electrostatic prevention function. 8. Dignity and Elegance: Fashion design, good-looking and obviously effect give you a five-star car life. 8. Set of 4 pcs.